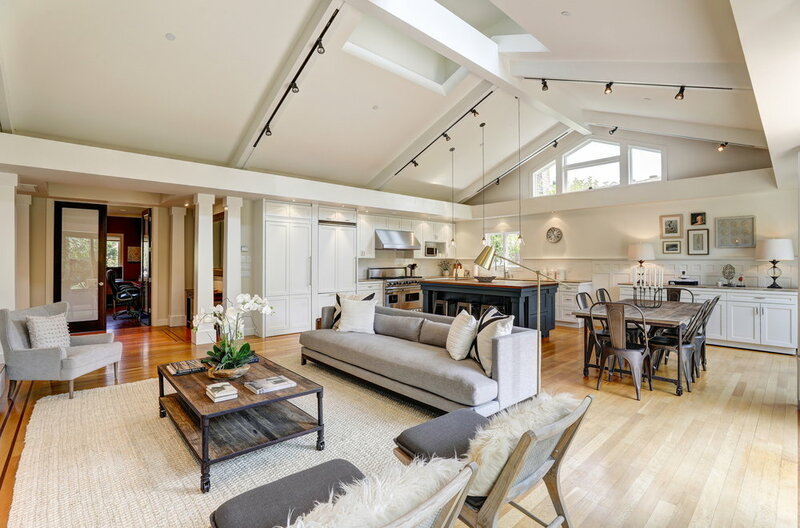 The great room is the heart of the home; a stunning open-concept living room, dining room and kitchen with high vaulted ceilings, a gas burning fireplace, stylish wainscoting, incredible natural sunlight and french doors that seamlessly connect to the flat backyard. 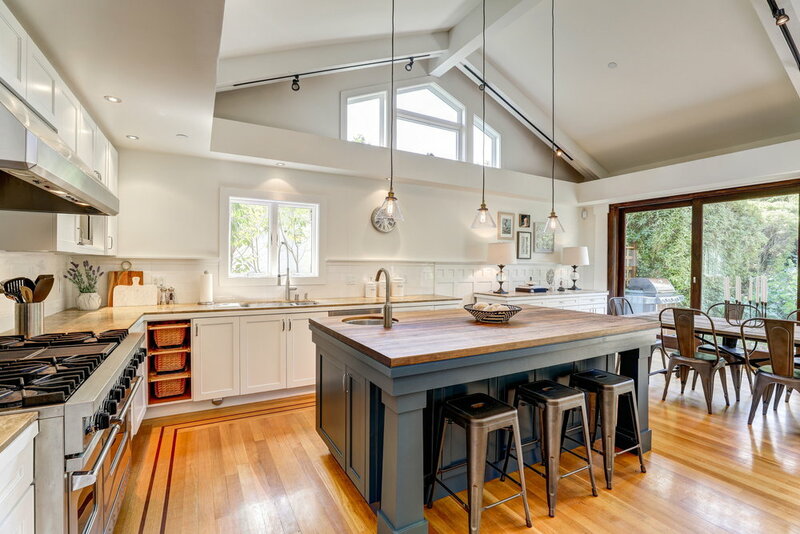 The chef's kitchen is equipped with a Viking 6-burner + griddle cooktop with dual ovens, Viking in-cabinet oversized refrigerator, Bosch stainless steel dishwasher and is stylishly outfitted with classic white cabinets and subway tiled backsplash. 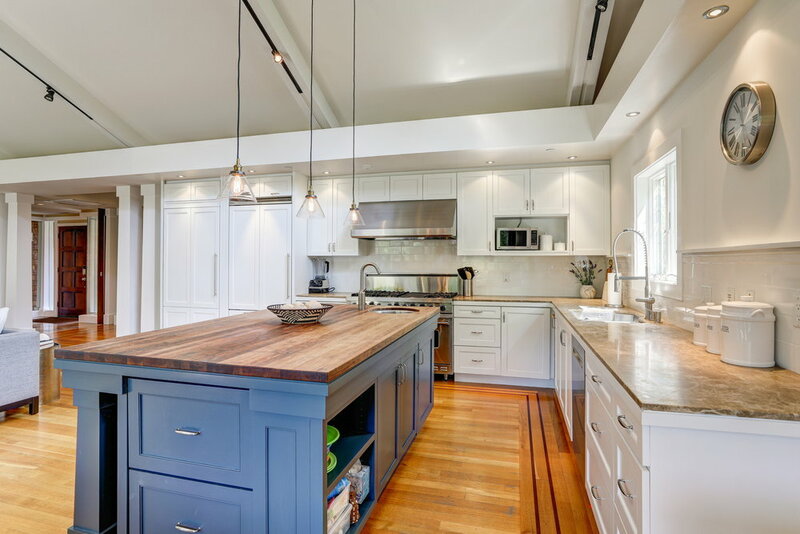 The oversized kitchen island adds a stylish pop of color with navy/slate cabinetry, a butcher block countertop, an additional prep sink, two U-Line beverage drawers and countertop seating for three. 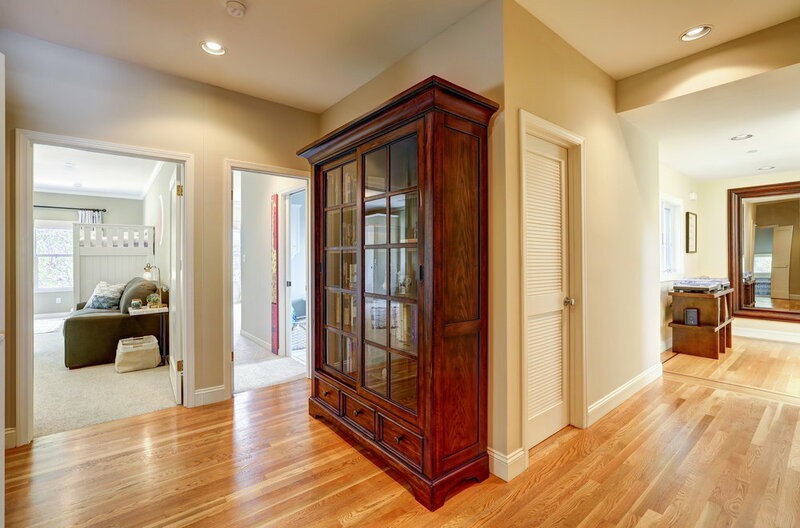 A sleek hidden door to the left of the refrigerator leads to the large walk-in butler's pantry with ample storage, a second dishwasher and prep-sink for easy meal prep or cleanup. 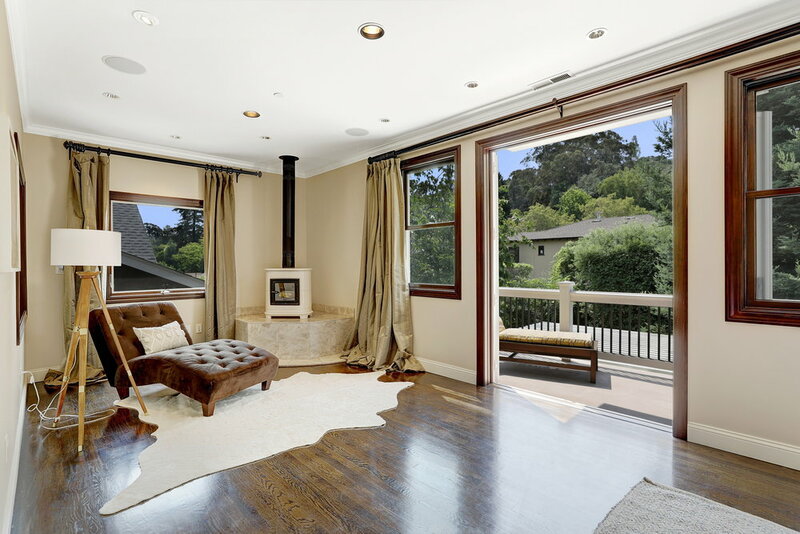 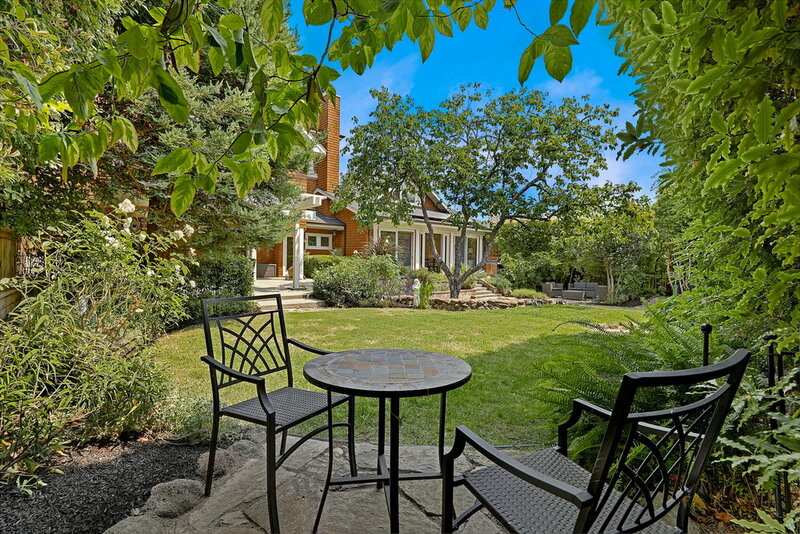 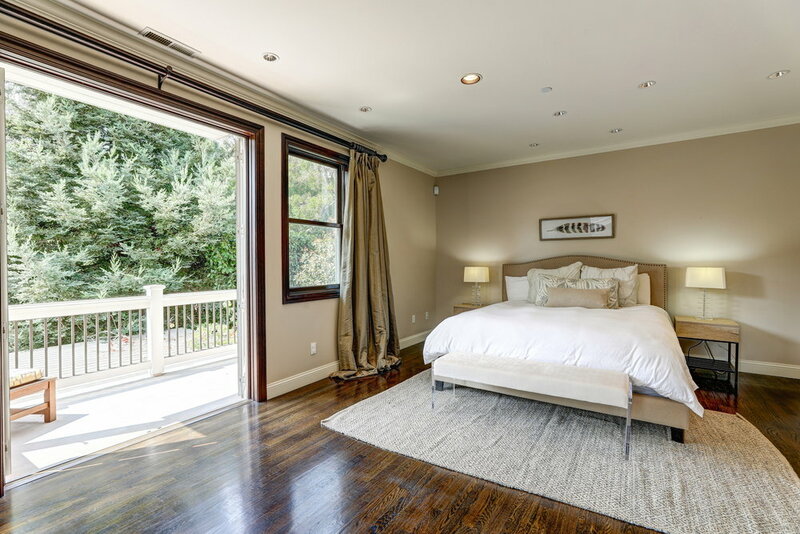 Three oversized bedrooms on the second level include the spacious master suite with its own fireplace and french doors that open to a sun-filled balcony overlooking the backyard. 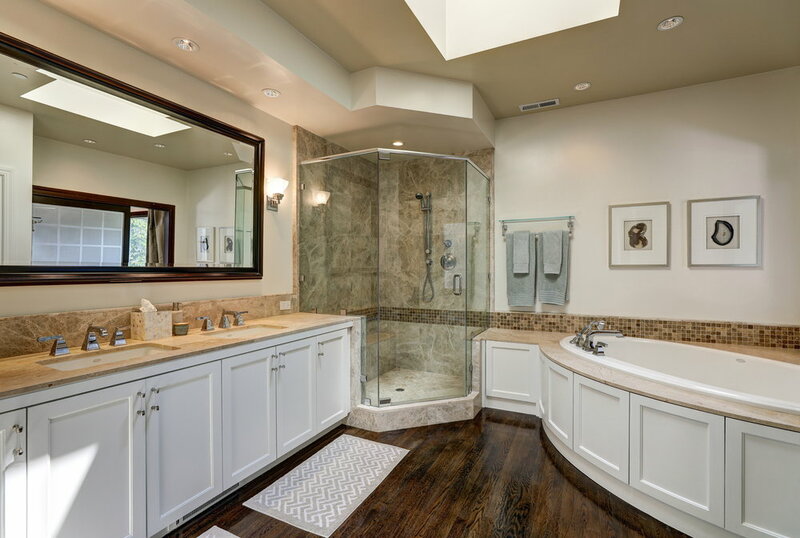 The spa-like master bathroom features stylish white cabinetry, a double vanity with marble counters, a large marble shower with bench seating and an oversized spa-tub. 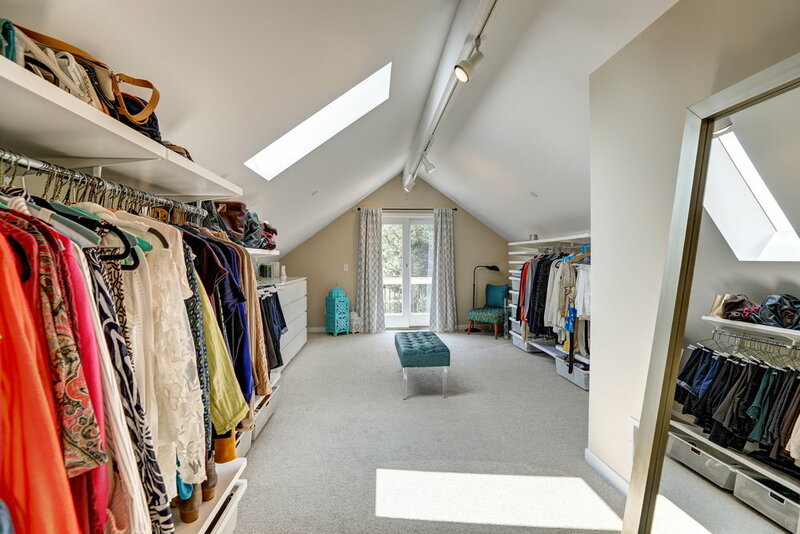 A large his-and-hers walk-in closet with built-ins provide ample storage space for any size wardrobe. 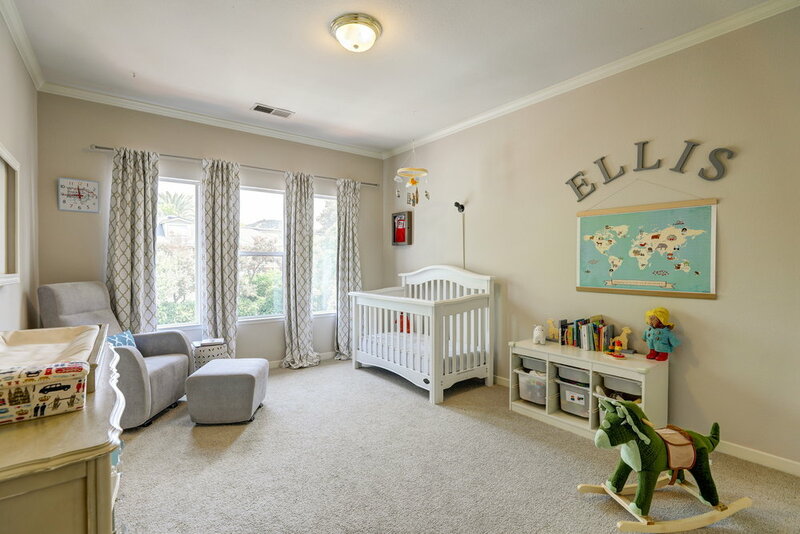 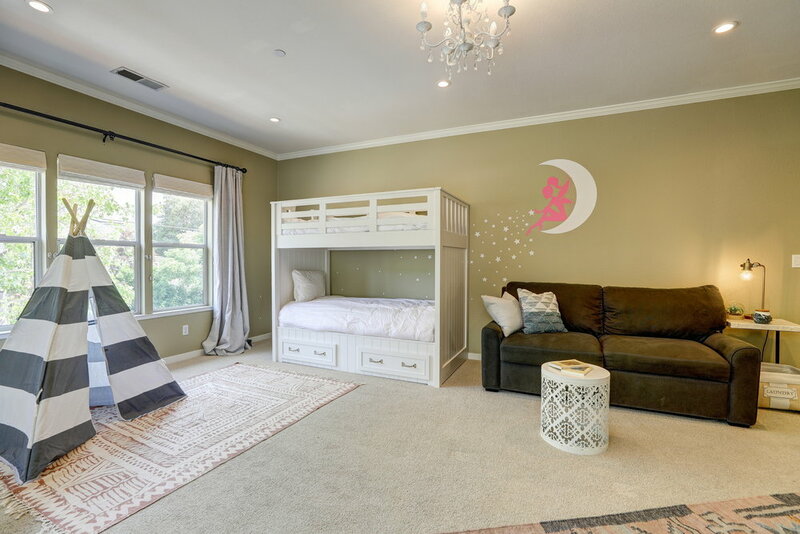 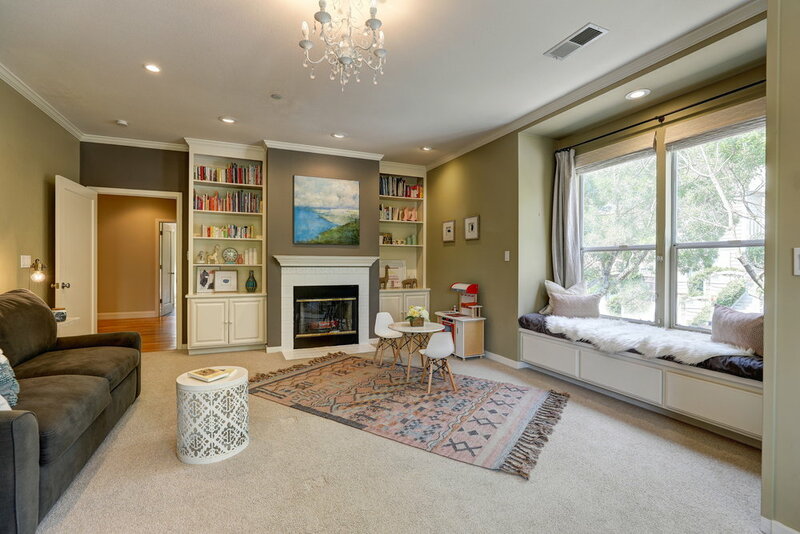 Adjacent to the master bedroom is a large bedroom that could double as a playroom with built-in shelving, a gas-burning fireplace and a built-in reading bench. 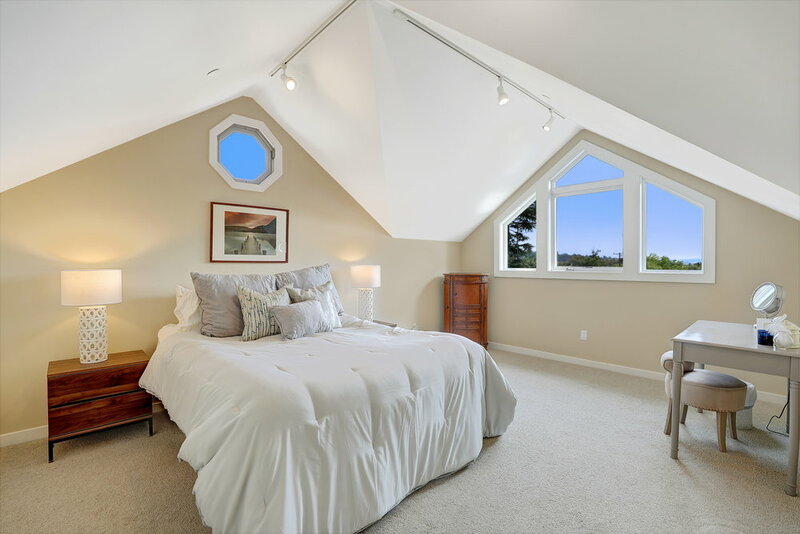 The third bedroom is spacious, yet very cozy with ample sunlight throughout. 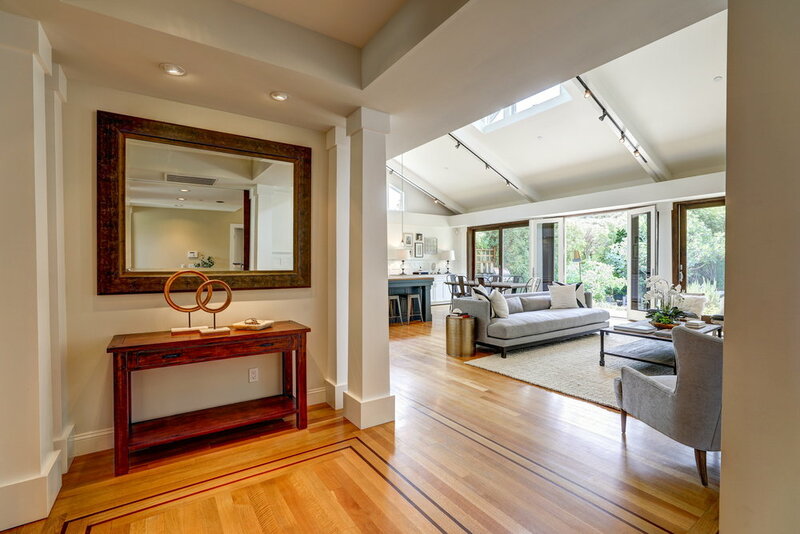 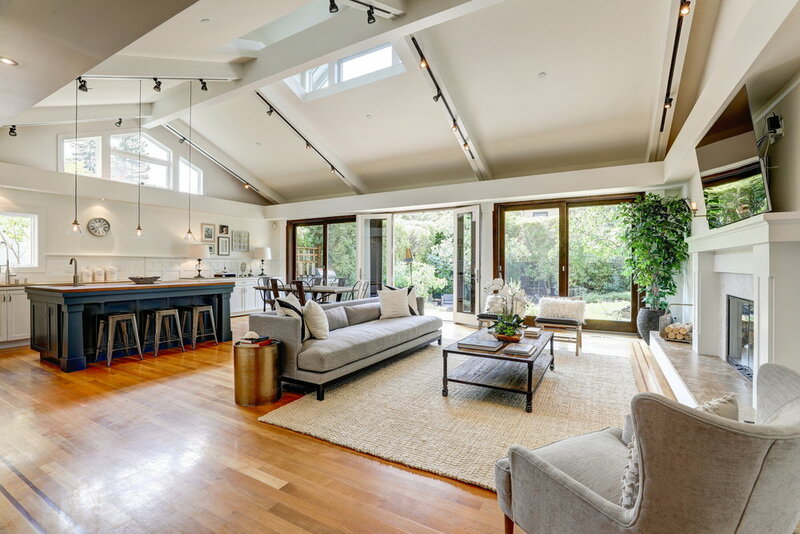 The top level of the home is a large, multi-purpose space with two additional rooms featuring vaulted ceilings, ample sunlight and a full bathroom in between. 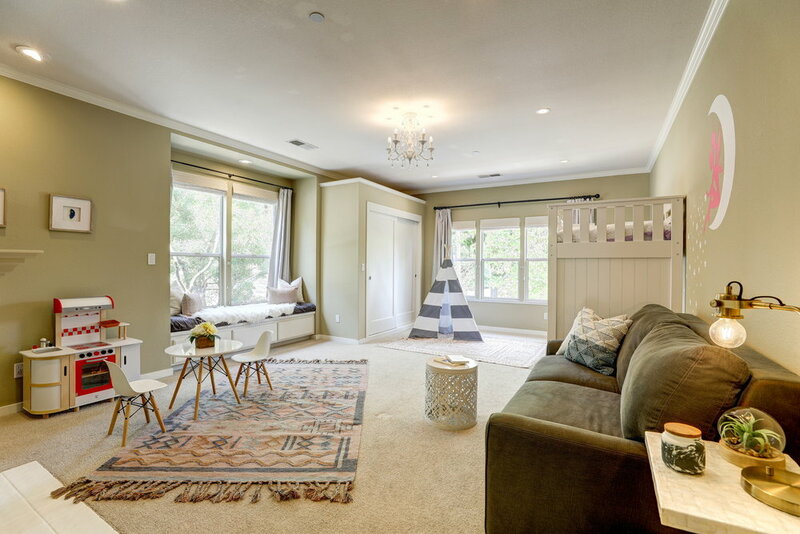 The upper floor is perfect to use as an au-pair suite, guest room, media room, play room, home office, home gym and so much more. 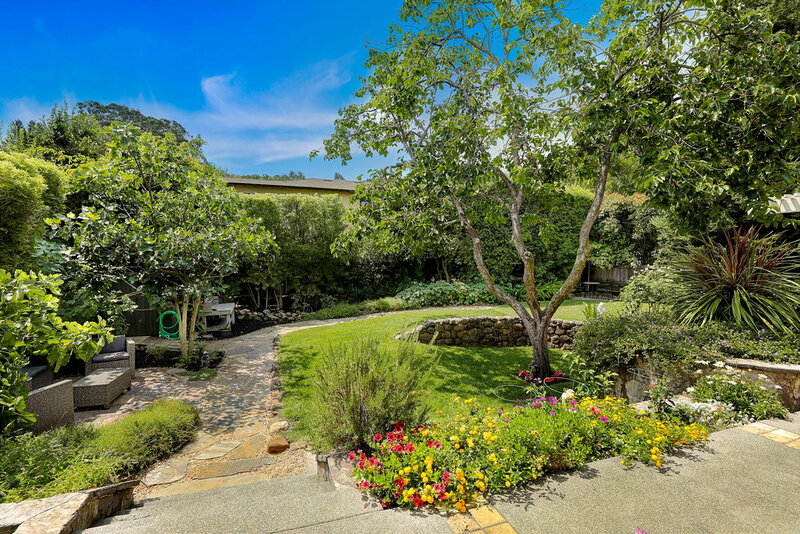 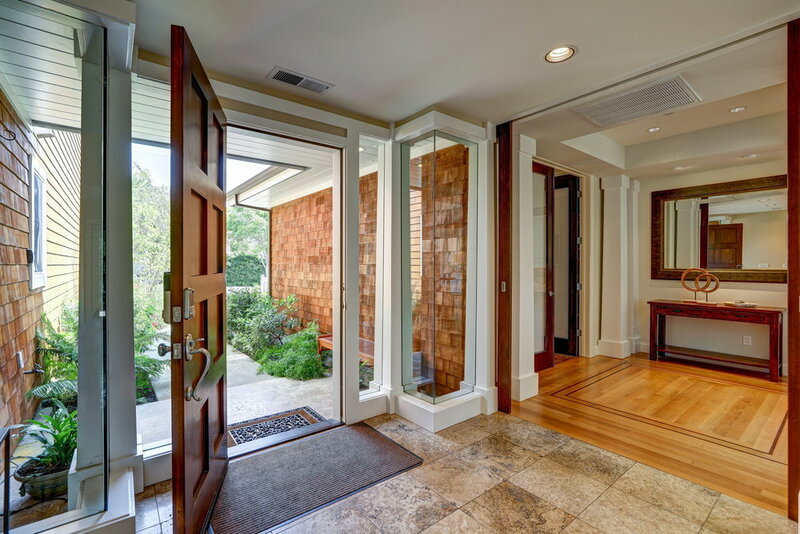 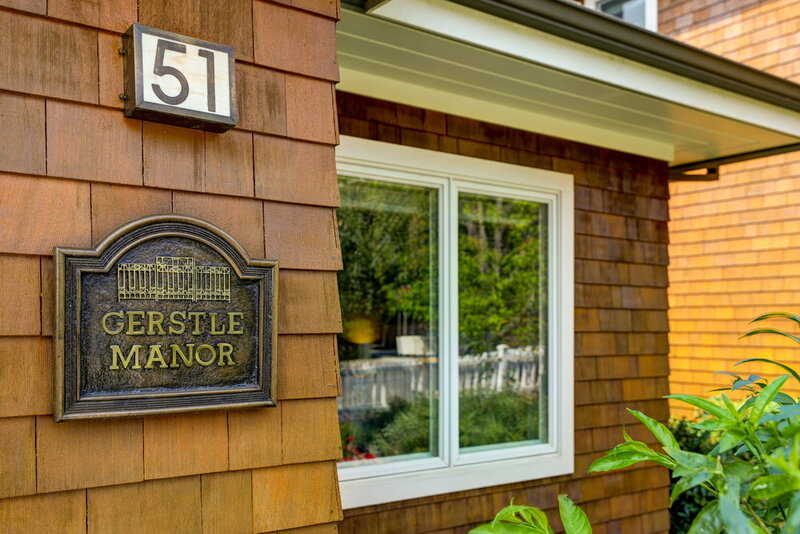 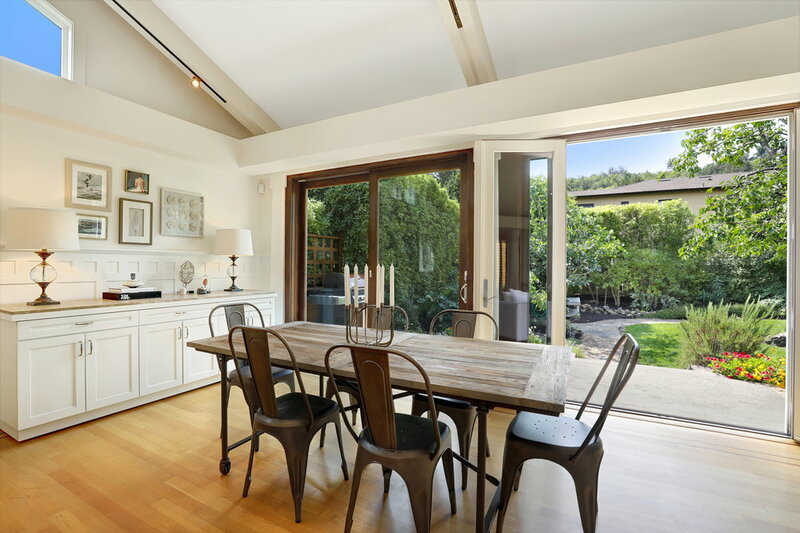 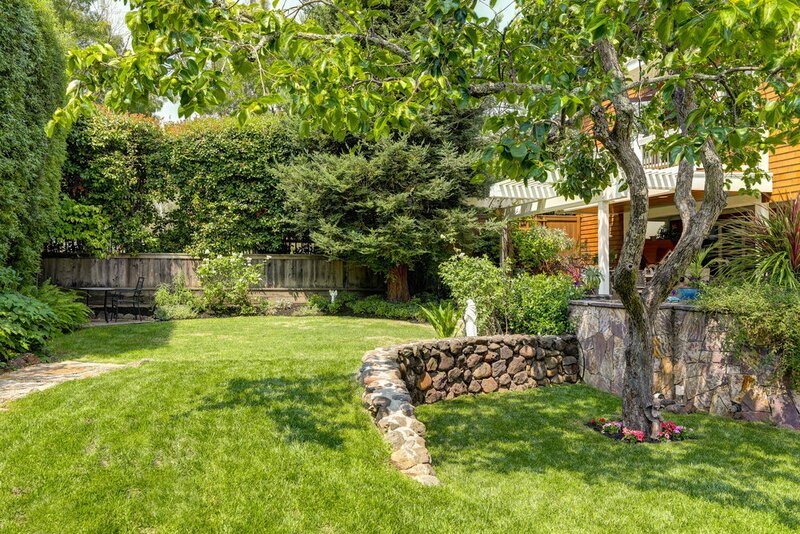 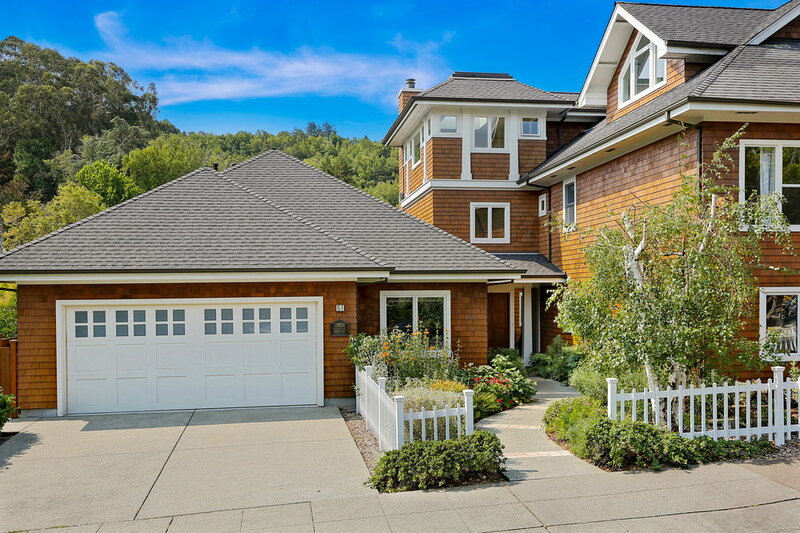 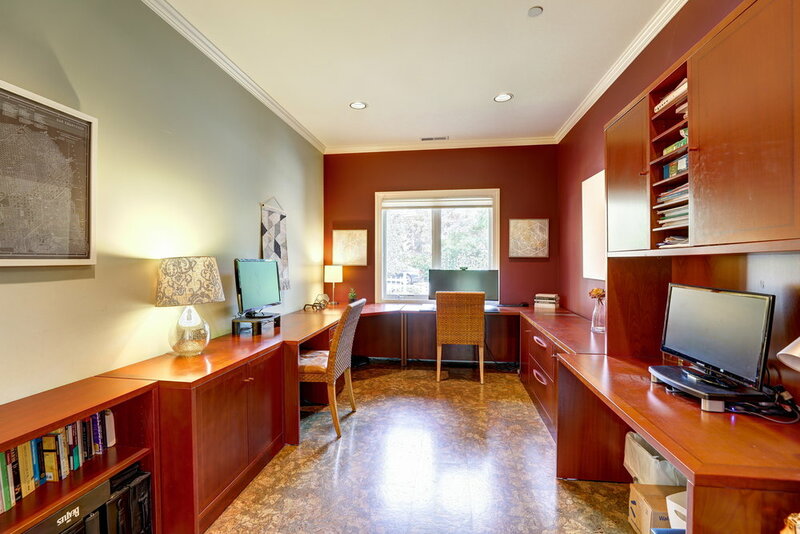 Gerstle park is ideally located in the heart San Rafael and is within close proximity to many amenities, sure to satisfy the discriminating buyer looking for convenience. 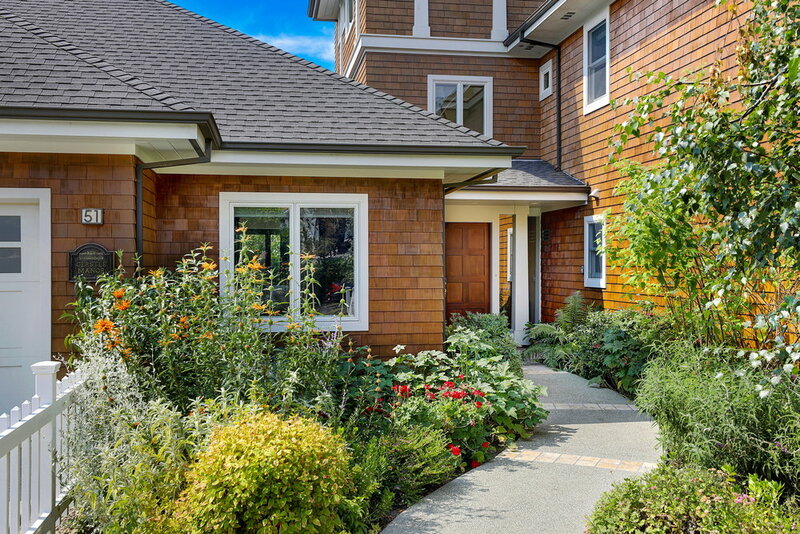 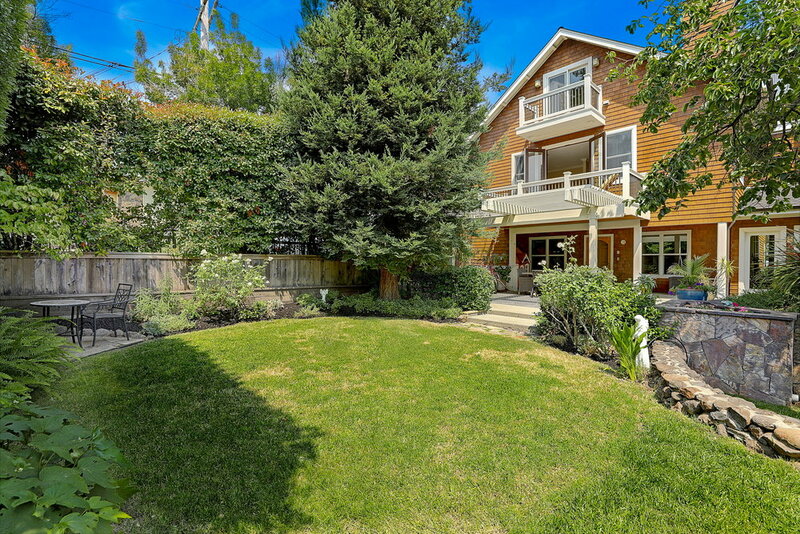 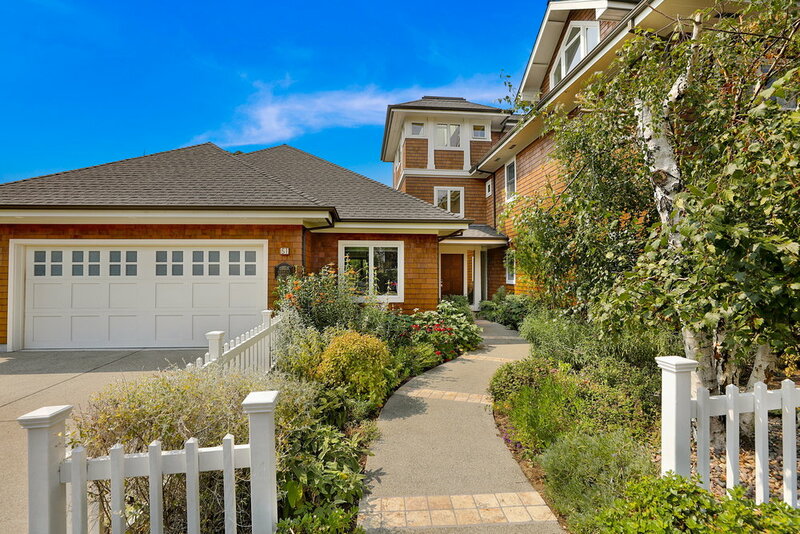 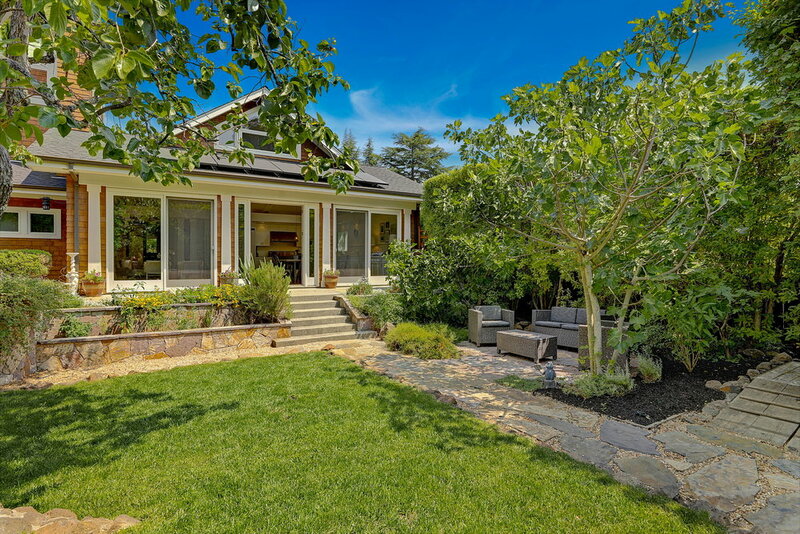 In addition to being close to the award-winning Sun Valley Schools, 51 Clorinda also enjoys easy access to the park, highway 101, public transportation, Whole Foods and some of our favorite local cafes and restaurants including the new Fox & Kit Cafe, Johnny Donuts, Terrapin Crossroads, and Stateroom. 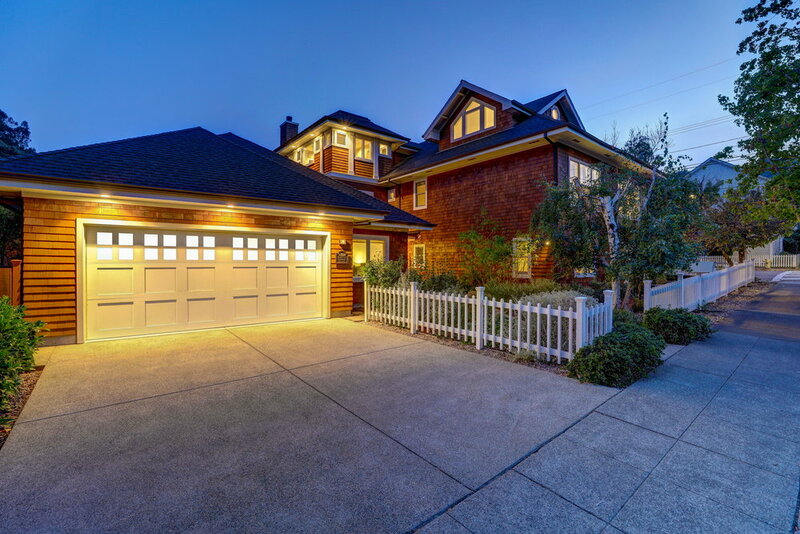 There is truly no better place to call home.